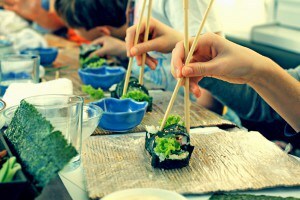 We organize sushi making workshops, during which Sushi Masters teach how to prepare all kinds of sushi. During the workshops, our experienced Sushi Masters will reveal how to cook rice, what ingredients to use and how to connect them. 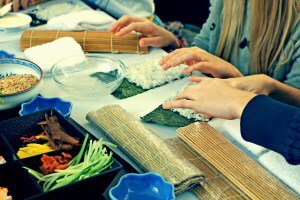 They will help in technical problems as well as teach you how to use chopsticks. 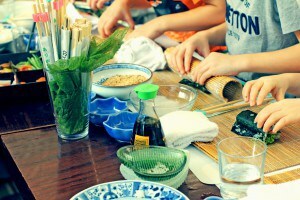 During the workshops not only will you learn how to make sushi, but you will also get to know Japanese savior-vivre. 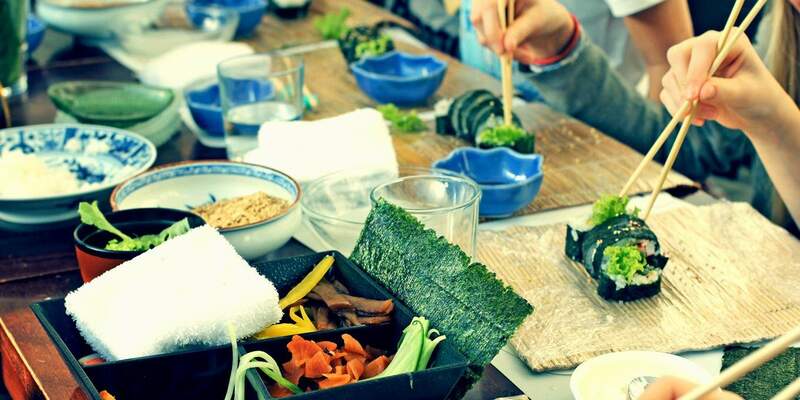 Each participant of the workshops will receive a certificate of a beginner Sushi Master and a certificate of a course completion. 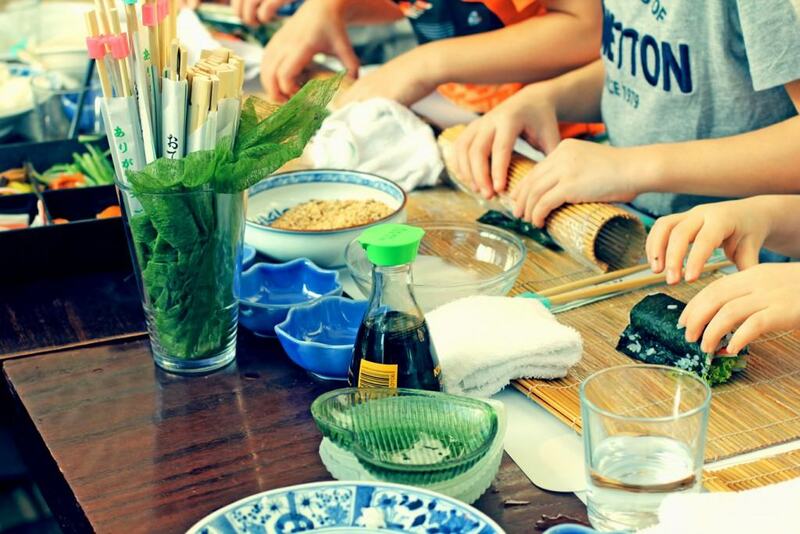 Gained knowledge and skills will allow you to prepare sushi on your own at home; for example for an oriental dinner for friends or a family meeting. We also organize sushi workshops for children, which are an extraordinary experience , great fun and first steps in culinary experiments for them. The workshops are organized in groups of 4 to 6 people. There is a possibility to organize workshops for groups bigger than 6- please contact the restaurant to make necessary arrangements.